In these days of email, electronic billing, and online bill paying, it may be difficult for some to realize that at one point in our history over twenty-eight billion pieces of mail were sorted each year without benefit of zip codes. By 1943, that number had increased to thirty-three million pieces of mail. In addition, the ranks of postal workers were depleted as men left for the armed forces, either by enlistment or draft. As a result, hordes of incoming inexperienced clerks filled the vacancies, slowing down the sorting and delivery process. 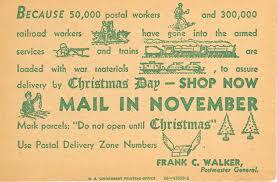 Postmaster General Frank C. Walker created the postal code system to alleviate the issue. A lawyer by training, Walker opened a practice with this brother until 1913 when he was elected to a term as a Montana state representative. He then enlisted in the Army during WWI and saw action on the Western Front. 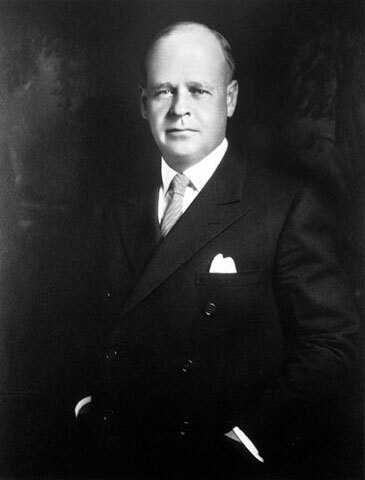 After the war, he returned home to his law firm until 1925 when Walker moved to New York City where he managed and was general counsel for a chain of movie theatres owned by his cousin. It is curious that he appears to be apolitical until 1931 when he co-founded the Roosevelt for President Society. I could find no record of his interest in politics or any sort of life-changing event that might cause him to enter the political arena. A year later, he became treasurer of the Democratic National Committee, and two years after that he was appointed Secretary of the National Emergency Council (a New Deal agency). By 1940, he was Postmaster General. The one and two digit postal code system Walker devised was primarily implemented for large cities and heavily populated areas, creating 124 zones; e.g., “Minneapolis 16, Minnesota or “Birmingham 7, Alabama” where numbers sixteen and seven indicated a particular zone within those cities. The codes caught on quickly and remained in place until 1963 with the introduction of the five digit zip code (Zone Improvement Plan).